Evolution has been proven beyond legitimate scientific dispute. We are evolved creatures, a process of random mutation and DNA crossover, genetic drift, horizontal gene transfer and natural selection. We are not the descendants of Adam. This is troubling to the believer in the Genesis account of Creation. In this podcast. 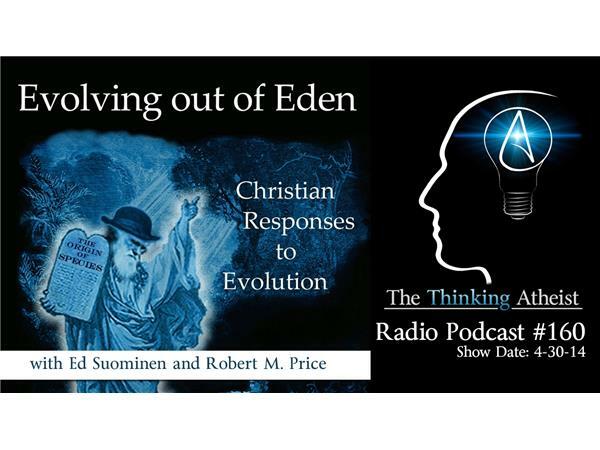 Ed Suominen and Dr. Robert M. Price speak about the hostile territory outside of Eden…a place where dogma dissipates under the white-hot light of the evidence.